I am sure many of you are excited for the Dillian Whyte vs Joseph Parker Fight that is going to be taking place this weekend. This is going to one another one of the best fights this year and I personally cannot wait to watch it live. 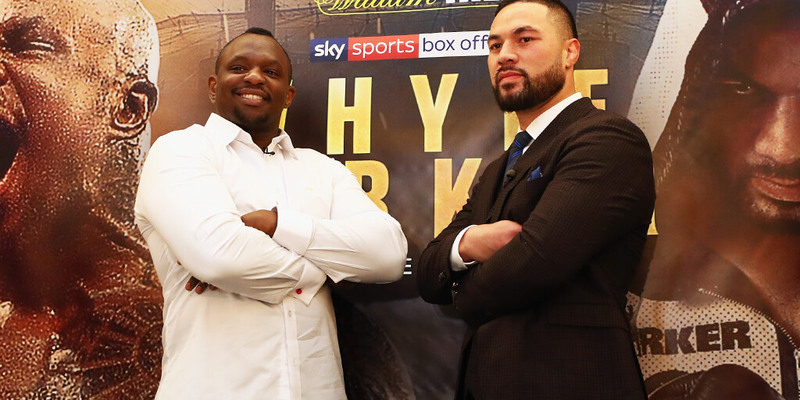 What time is the Dillian Whyte vs Joseph Parker fight? The fight is taking place on Saturday, 28 July at around 10PM UK time onwards. There is already a lot of hype around this fight so there are going to be many people watching it, and I will be showing you how you can do this for free! However, the prices to see it both in person or online (PPV) are quite high, and we may not all have this money to spare, especially if one of the competitors gets knocked out early on. Today, I will be showing you the best Kodi addons/plugins you can use to watch the Whyte vs Parker for free in HD, with no lag or buffering. For those of you that are unaware, Kodi is an amazing program which is available on all devices (Laptops, Computers, Android Devices such as the Amazon Fire TV Stick etc) and includes a few high quality plugins which will allow you to stream paid content, such as the Whyte and Parker fight live and for free through it. All of the above plugins can be found and installed, for free inside any of the Top Kodi Builds here. Please click here to view our tutorial on how to install any of the best Kodi builds. Simply install one of the top and most popular builds and it will include all of the above plugins under a “Sports” section which you can then use to watch the fight. If for some reason, you are struggling to get Kodi to work on the night of fight, you may be able to find a high quality, stream for the fight by looking on Reddit, the subreddit which everyone uses for streaming fights like the Joshua and Parker fights is called /r/BoxingStreams, you can find it by clicking here. Please note that no streams are posted until a few hours before the fight starts so you won’t see anything posted right now, but keep it bookmarked for later. If you have any questions or issues please let me know in the comments below. I hope you all find a working stream and enjoy the fight. Disclaimer: Please respect copyright, only watch the fight if you have paid for it. We are not condoning piracy in any way, this guide is for educational purposes to show that streaming events like this through Kodi is possible.